Secure your home with MAX6 window security products! It’s vital to check that your home security is up to scratch – and this includes your window security. Thieves will try a number of methods to break in to your home. The window is as much of a target as the door, and yet window security is often overlooked. 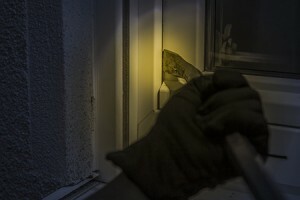 With windows providing a main point of entry for burglars, we’ve made it our mission to provide secure window security products affordable for every household and that are designed specifically to prevent some of the most commonly used burglary techniques. Our window security products are designed to defend against intruders coming in, and children from falling out! 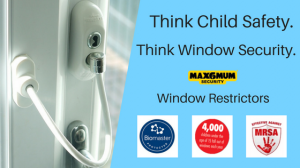 The 20cm ultra-secure Max6 window restrictor (window lock) is the number one choice to protect windows from sash levering and limit the opening of your window to just 10cm – protecting children from falling though the gap. In the UK alone, approximately 4,000 children under the age of 15 fall from windows every year according to The Royal Society for the Prevention of Accidents. These statistics highlight the dangers of leaving windows open and unattended. Restrictors work by being fitted to both the window frame and the leaf of the part of the window that opens; connecting the two parts of the window with a strong steel cable, restricting how far it can open. It can be used on all types of windows and doors including uPVC, composite, aluminium, wooden and metal profiles. The cable itself is made from hardened steel and is extremely difficult to cut, protecting your home from intruders. The Sash Jammer is a window lock designed to combat the most common burglary techniques and deter forced entry into homes. Designed for uPVC windows, the MAX6 Sash Jammer is a low cost and highly effective home security solution. The Sash Jammer offers resistance from the inside when pressure is applied to the window from the outside. 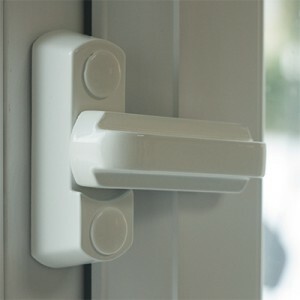 With a twist of the Sash Jammer handle, it is secured over the frame, preventing the levering of the window sash – a common burglary technique. Secure your windows and belongings this December with MAX6MUM Security window safety products.